A meeting took place at the offices of Tweedie Brothers at 78 Cornhill, barely yards from Lloyd’s (the Royal Exchange) on the 13th of March 1894 for the purpose of considering the suggestion of forming a Lloyd’s Golf Club. There were six people present: John Franklin-Adams, Sidney Boulton, Henry Poland, Alex Allfrey and Alec Tweedie. Alex Allfrey proposed the motion “That a Lloyd’s Golf Club be formed”. It was seconded by Sidney Boulton and carried “nem con”. Lloyd’s Golf Club was in being and history made for there is little doubt that it was the first recorded instituted trade/company golf club in England. The founders used the title “Club” quite correctly: the term society was not used until the turn of the century for a Club of this type, thus they followed the formal practice of the time. It is perhaps surprising that the term Club has been retained to the present day. Only once was it suggested that “Society” might be more appropriate, in 1925 by the then President Arthur Hobdell. He made the mistake of saying that to be a “Club” appeared “somewhat peculiar” when LGC did not have either course or clubhouse. This did not meet with the approval of Charles Turner his predecessor, who suggested that the club should continue to be peculiar, a view which met with general approval. There the matter rested and it is a matter of some pride that the designation “Club” is still used today. 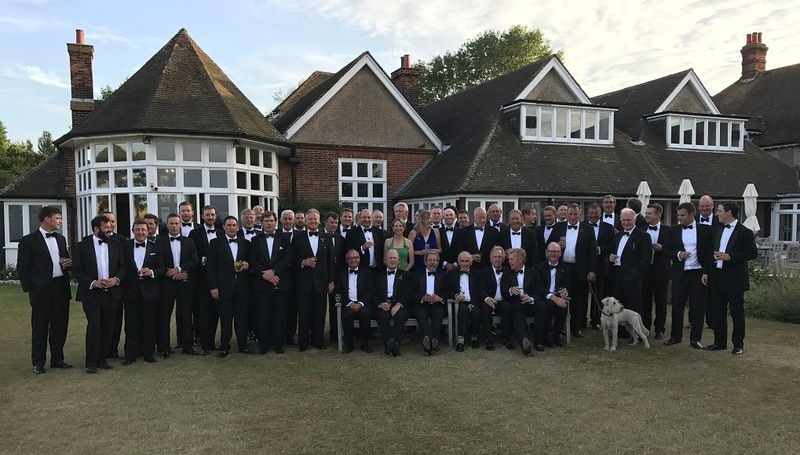 From the original 6 founders the club has grown to around 500 members with over 30 playing fixtures a year, played at some of the finest golf courses in the land.